I’ve already spoken about my love for the humble potato, so it should come as no surprise that when I was given the opportunity to try a variety of Food Should Taste Good® chips, I was more than willing to give my taste buds a workout. 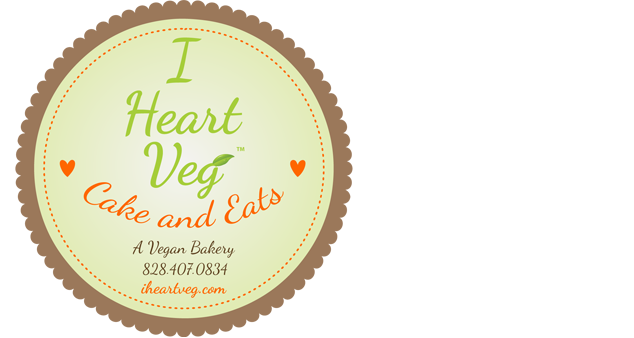 All chip varieties are gluten free, cholesterol free, have zero grams trans fats, and many are certified vegan. Yes, certified by Vegan Action. All of the chips included in this review are vegan. Disclosure: I am a BzzAgent and was provided a free sample of this product to review. My reviews and experiences are my honest opinions of the products tested. 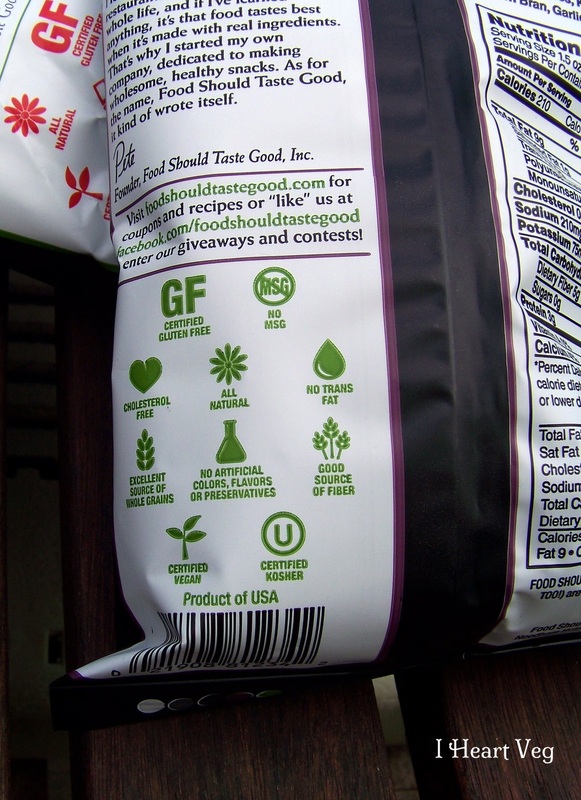 Before I opened a bag, I was in love with the fact that the vegan status of each product is clearly labeled. I am immediately comforted that I will not have to spend the evening on the phone with the manufacturer asking if ingredient A or C is animal or plant based since they failed to note it. Hungry vegan, you are green lit to begin salivation. This happens to be the back side of the “Olive” tortilla chip bag. 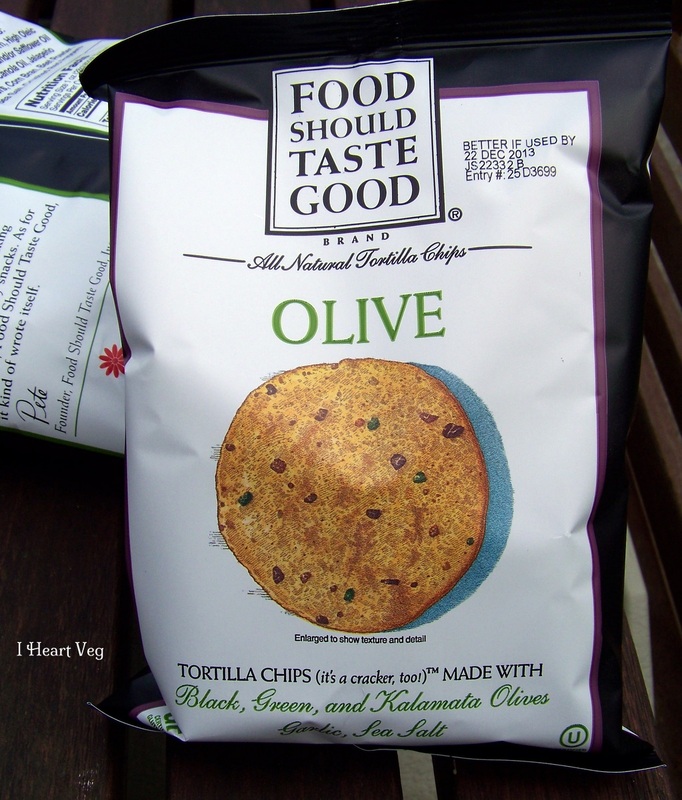 This lovely bag of “Olive” tortilla chips beckoned me to dive in and taste the black, green, and kalamata olives that are used to create the chip. Olives are another favorite food of mine. These chips quickly made their way to the top of my favorite snack list. They are delicious. While other products may tease that certain ingredients are used to create a product, one can actually see and taste the olives in this chip. Aside from chip duty, the round shape makes it a perfect surface to be used as a cracker. Don’t worry, the chips won’t buckle under the pressure of a roasted pepper or artichoke dip. They would also make a great substitution for bread when used for a light tomato bruschetta. 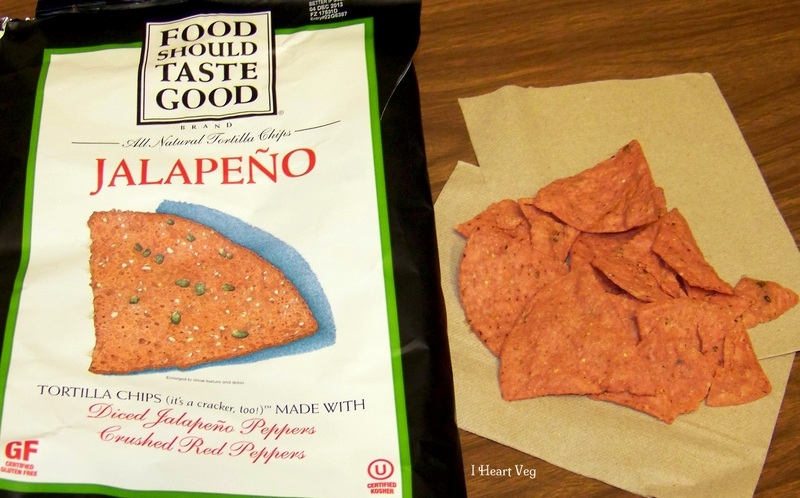 My next favorite of the bunch were the jalapeno tortilla chips. Jalapeno flavored chips always find their way into my basket at the grocery store. I love spicy foods, especially the flavor of the jalapeno pepper. Unfortunately, many jalapeno flavored chips on the market either swing to the flamin’ hot and no flavor side, or they have a distinctive chemical taste that isn’t remotely close to the true flavor of a jalapeno pepper. The savory flavor of the jalapeno pepper is showcased in this chip, thereby creating a chip that doesn’t overwhelm the mouth with heat. 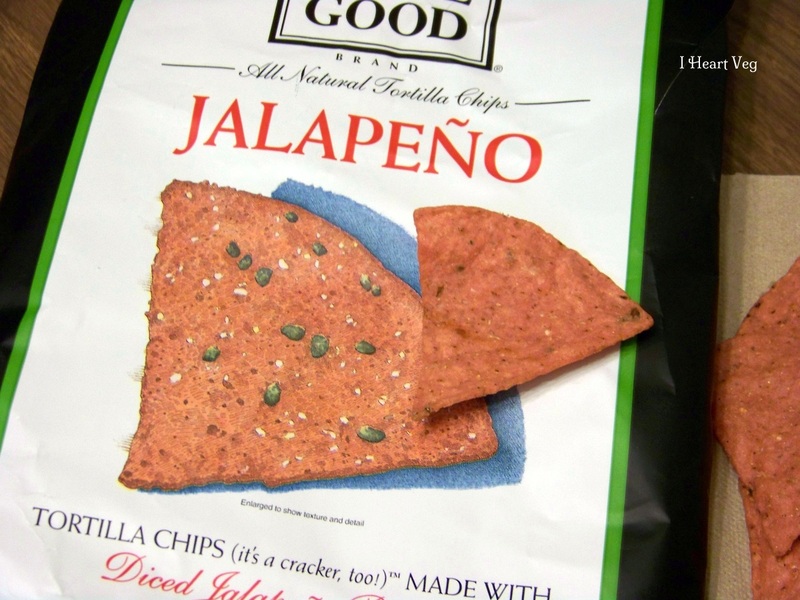 The chip flavor is not dominated by a painful spice that will have you running to the nearest faucet, but it still has a spicy bite thanks to the crushed red and jalapeno pepper ingredients. The chip has a very natural flavor. It reminds me of the flavor created when one makes their own picante sauce. I would be confident serving this chip to the person who isn’t truly a fan of spicy foods, as I think the spice in this chip wouldn’t scare them off. While I am a salsa lover, I refrained and ate these chips sans any topping. If you scoot over to the Food Should Taste Good website, you’ll find plenty of dip and drink recipes to get your next gathering or snack fest off to a great start. They would make a great chip to serve with our Vegan Garlic Strong Guacamole. 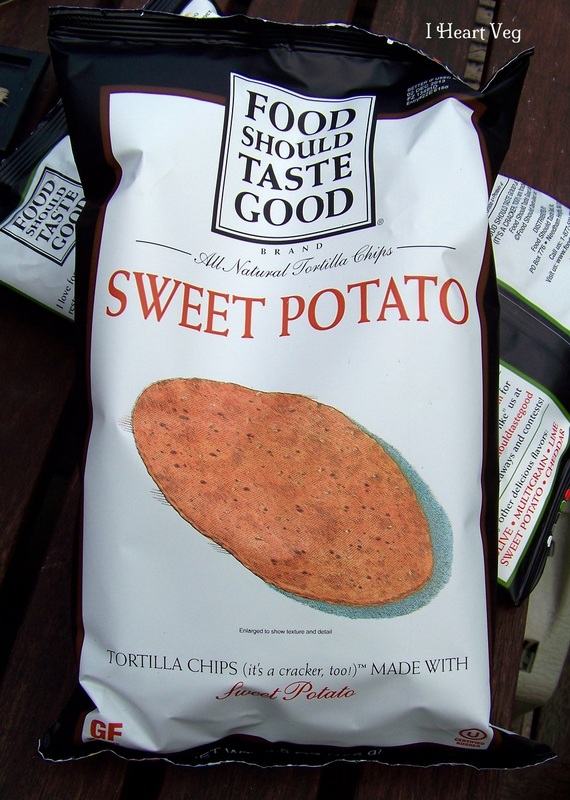 Next up, featuring one of the the most loved foods of North Carolina, the sweet potato tortilla chip. FYI: North Carolina is the No. 1 sweet potato producing state in the United States. The sweet potato chip exceeded my expectations. I eat a lot of sweet potatoes, but I don’t happen to love them in many other forms. I’m neither a fan of the sweet potato french fry, the sweet potato tofu shake, nor sweet potato soup. 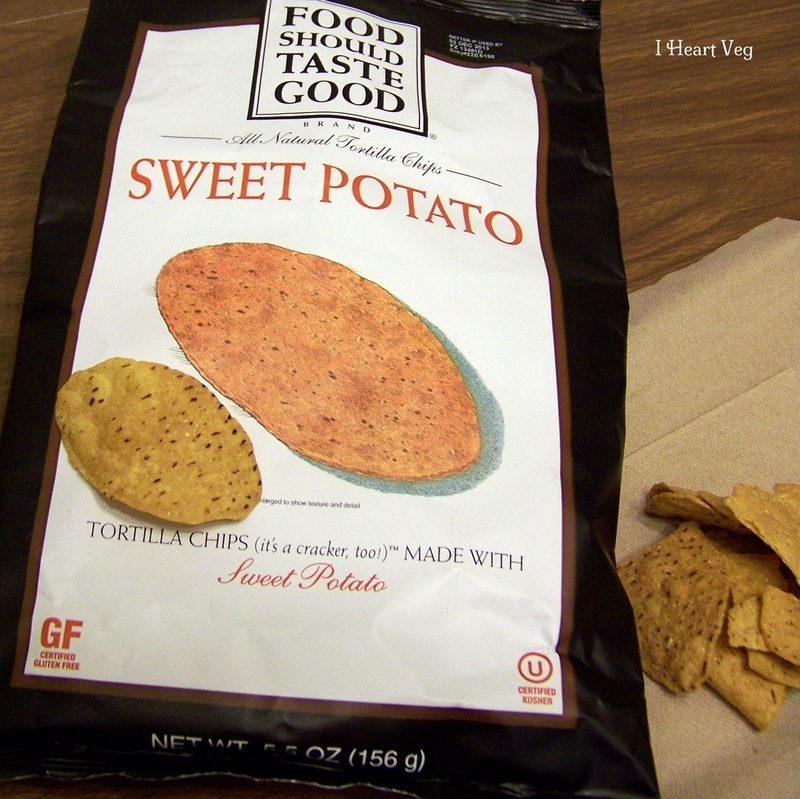 The sweet potato chips are slightly sweet, and I found myself reaching for one after another. While they are a chip, I felt like I was eating a little bit of dessert. These might be just the pantry item to keep on hand when you want to squelch that sweet tooth demand. I think you’ll be surprised how a little sweet taste can fulfill a seemingly big craving. They really are very good, and I suspect even a vegetable-hater would find these delightful. The bag suggests serving them with fruit salsa, raspberry jam, or apple butter. I’ll leave that for you to test out. 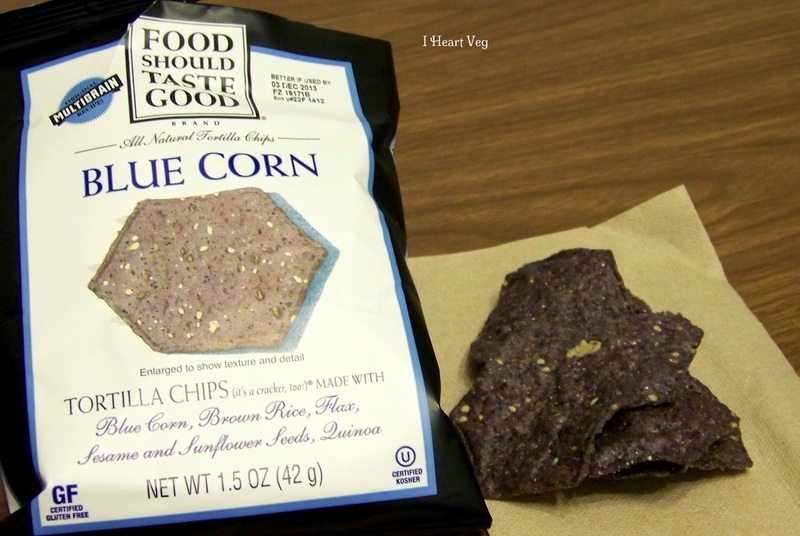 Ah, the blue corn tortilla chip. Blue corn tortilla chips and I have a difficult relationship. I always want to love them, but they frequently leave a bad taste in my mouth. 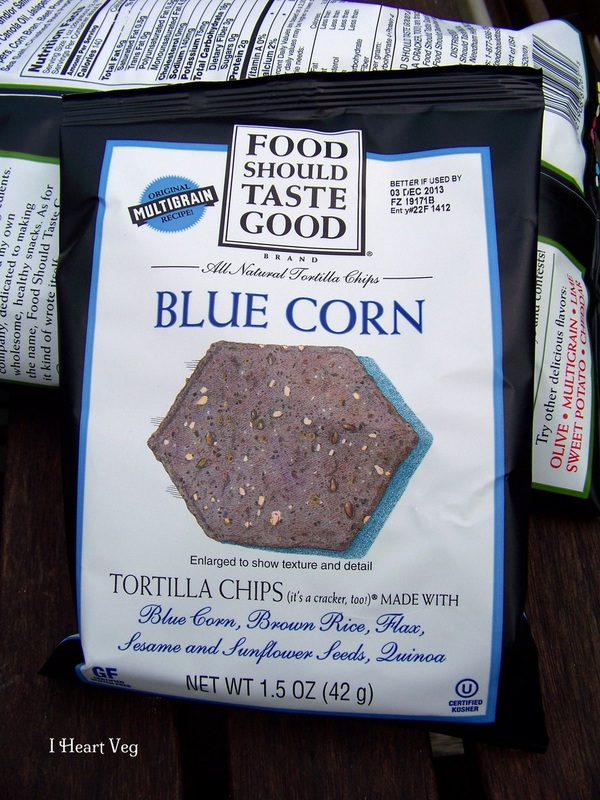 I am happy to report that Food Should Taste Good has released me from my blue corn tortilla chip battle, as I now know I can turn to them when I am in need of a blue corn tortilla chip. These chips succeed where others have failed because they are not huge slabs of blue corn. Many competitor chips are so thick I’m in a state of panic biting into one, fearing my tooth will snap off with it. 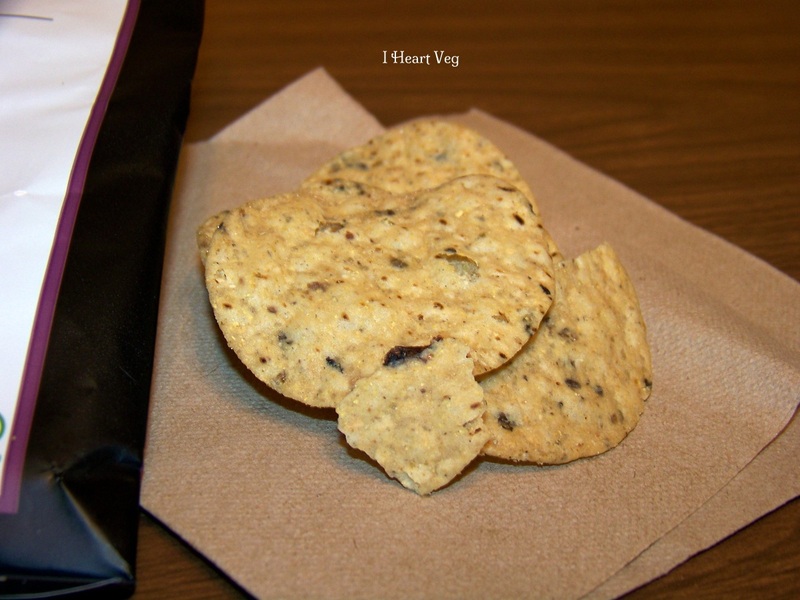 This is not the case with these blue corn tortilla chips, as they are crispy and thin. They are clearly still a tortilla chip, but they are thinner than most other brands I’ve tried. They are slightly nutty in flavor, thanks to the flax and sesame seeds, but you don’t have to worry about damaging your teeth on the seeds, as they are not hard rocks of texture, but rather soft flavor enhancers. The seeds used in this chip did not bother me at all, and as someone who has had recent dental work, I’m especially sensitive to the way a flax seed can become an ingredient to avoid. Whatever Food Should Taste Good is doing to their sesame and flax seeds should be industry standard, as I’ve given up on other chip manufacturers who obviously had no concern for dental care. I can’t eat your chips if you break all of my teeth with the hard flax seeds you threw into the mix to appease the omega-3 seeking consumer. Lastly, the good ol’ standard multigrain tortilla chip. Again, I was apprehensive, as my multigrain chip experiences of the past rated right up there with the blue corn tortilla chip, but Food Should Taste Good came through once again. The multigrain, as the blue corn, has brown rice, flax, sesame and sunflower seeds, and quinoa as featured ingredients. They are very good–a great staple to keep in the pantry as they will be welcome at any party. The nutty flavor makes this a great chip to combine with a hummus dip. You won’t have to worry about the chip breaking off mid-dip, and thanks to the dental awareness at Food Should Taste Good (see blue corn statements regarding flax seeds), you won’t have to worry about breaking your tooth off either. 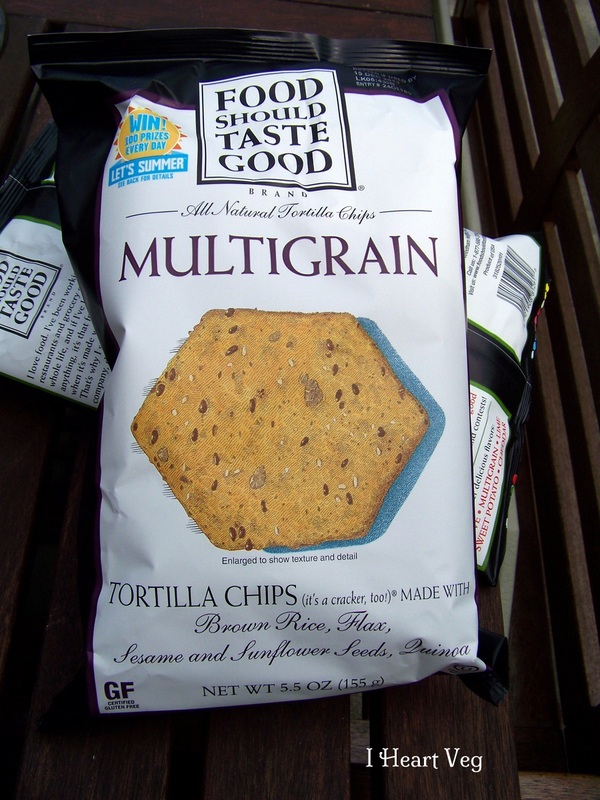 The multigrain tortilla chip is a solid performer, as it is really just a good tasting tortilla chip. None of these chips were extremely salty or oily. You won’t walk around with colored fingers or create large oil spills when you eat them. Check out the Food Should Taste Good site. The company has an interesting history. There are many more products to test out at Food Should Taste Good, so look for them in your favorite shop. In Charlotte, North Carolina, you can pick up a small bag for $1.00 at the snack bar in Target (at least at the N. Charlotte SuperTarget location). 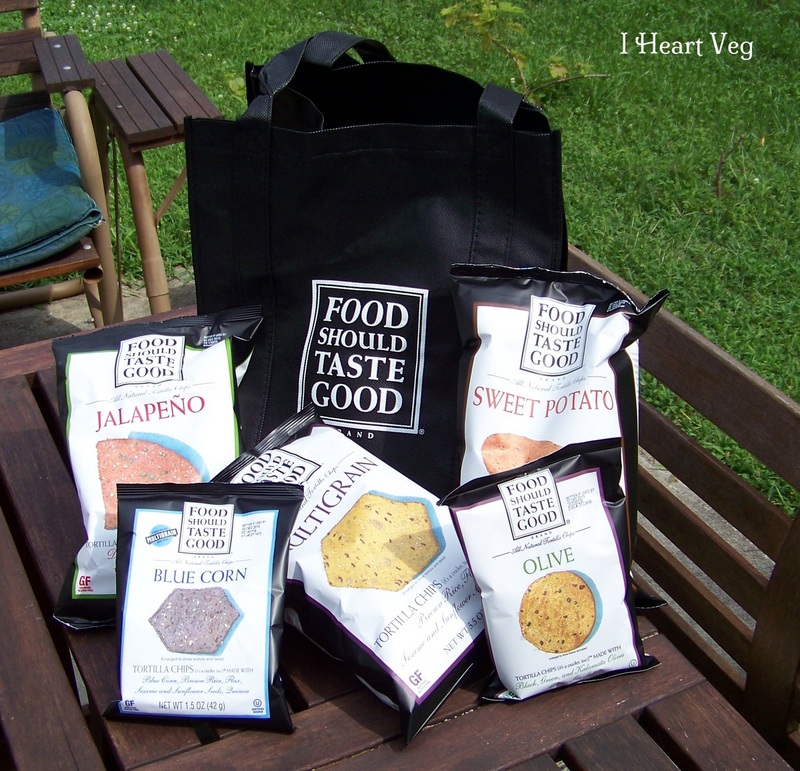 Go forth hungry vegan shopper, grab a bag on your next outing, and let us know what you think!